A report entitled, ‘Safer children in a Digital World – A summary for children and young people’ by Dr Tanya Byron was published in March 2008. The report outlines an assessment of the effects the internet and video gaming can have on children. 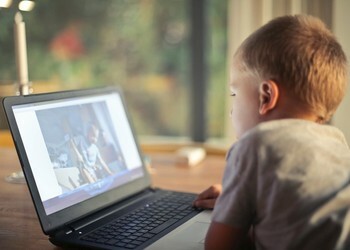 The information contained in the report details those aspects of internet and video gaming that can be positive, safety risks and suggested recommendations, which are useful for schools and parents. Please click here to read it. At Twynham Learning we appreciate that primary-age children are more and more interested in technology and the Internet, and we do everything that we can to keep them safe while they are online while in school and give them skills to keep themselves safe too. In class, when children use the internet, we use recommended search engines designed for children, for example, ‘Kids Click’ and ‘BBC Schools’. Lessons in which we use the internet are always tested before the lesson to ensure that the content is appropriate for children. All staff comply with the guidelines detailed in the E-Safety Policy, which is monitored and reviewed regularly. The e-safety of children is a priority as we continue to embed Child Protection policies and we hope that following this information you will become more familiar with the strategies in keeping your children e-safe at home too. Please find below a copy of our presentation to parents on how you can support your child to stay safe online. To help parents with Online Safety at home, we have pulled together the following resources aimed at educating and advising parents of what they can do. We hope that the information above is useful and informative. Should you have any concerns specific to your child, or if you would like to talk anything through with a member of staff, please do not hesitate to contact your child's school in the first instance. If you suspect someone is using the internet to make inappropriate contact with children, use the button below to alert the CEOP (Child Exploitation and Online Protection), who will investigate. This does not report it to the school, but you can also contact a member of your school's Safeguarding team if you feel that you or another person is in danger.